Stories take you away from the hustle and bustle of real life, and introduce a whole new world of fantasy and fun with Sims 4. This is a new fashion competition - reserving now and will be launched on Thursday 13th July for application shots but these can be done now if you choose. This competition will reflect fashion trends through the decades. This goes from the 1920’s to the 1980’s so it is only has 7 ASSIGNMENTS plus ONE for the FINAL. At each decade I will give you some backstory of the era. I know you won’t want a history lesson so it will only be a brief overview. I will also outline the main style of clothing, accessories, makeup and hairstyles of the time, this should help you when choosing a style for that era. You are also welcome to do your own research of course. 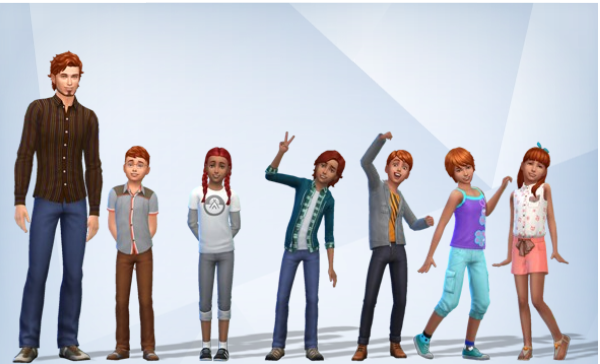 I have researched in Sims 4 and all eras I am covering have CC available, or have CC that could substitute for the era of the time. You may just need to search a bit. If you are having trouble finding things let me know and I will add links to some I am aware of. I know Sims 3 does have CC for vintage fashion as well. If you are unsure of the meaning of some of the vintage names for clothing and accessories, either ask or do the research yourself. This competition won’t begin until mid-July but you may reserve your name now if you would like to be a part of this new competition either as a contestant or a judge. I have allowed room for 12 reserves (If more is needed I’ll consider that). and up to 4 judges including myself. I would like at least 2 or 3 judges as well as myself to give you, as contestants, a wide range of taste, opinions and results. "Livin' Life to the Max!" I have a few challenges I'd like to share with my readers. The first one being a challenge for our Sim elders. They need to get some limelight so I have chosen to put it up here. 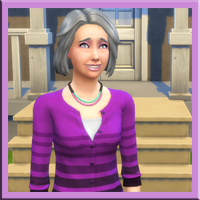 CC is allowed but only for their looks not for moodlets or needs changes. A GAMEPLAY CHALLENGE FOR THOSE THAT WANT A COMPETITION THAT TESTS YOUR SIMS 4 SURVIVAL SKILLS. Ever wondered how hard it could be to be a single working dad, with six very different children to care for? Their clothes, food, education and emotional health, all have to be taken care of. Well you can experience this for yourself when you take on this challenge. In Sims 3 this was a challenge with toddlers, which, if I may add, even more trying with slightly different rules. I have adapted this for Sims 4. "Community Spirit" - Episode 2, Kale Rebuschatis. "Community Spirit" - Episode 3, Ayden Burroughs. "Community Spirit" - Episode 4, Jonah McGovern. Sophisticated Man - Mock Assignment. Fashion Time Warp - Grand Final. "Livin' Life to the Max"